This Fall, discover the incredible untold story of one of Star Wars’ most iconic characters, C-3PO, by the man who knows him best—with a foreword by J.J. Abrams. 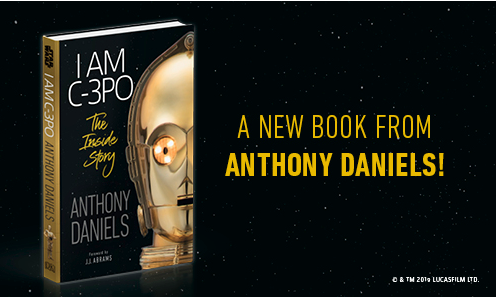 Pre-order your copy of Anthony Daniels’s new book, I AM C-3PO: The Inside Story. If you are reading this review to decide whether to read Thrawn Alliances, let me save you some time. Stop reading this review immediately, and grab a copy of Thrawn Alliances and read it. There are no caveats or conditions. This novel is simply a must-read for any and every Star Wars fan. Really, it’s that good. 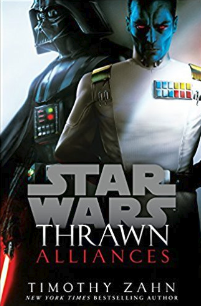 Thrawn Alliances is the sequel to the Thrawn novel written last year by the character’s original creator, Timothy Zahn. Zahn does a masterful job building on the epic origin story of Thrawn and his rise in the Imperial ranks, as described in the novel Thrawn, and his involvement and pursuit of Phoenix Squadron in the Rebels animated TV series. The novel is set shortly after the Battle at Atollon (depicted in the Rebels TV series) where Thrawn’s seemingly inevitable defeat of Phoenix squadron was foiled unexpectedly by the intervention of The Bendu. Emperor Palpatine assigns Darth Vader and Grand Admiral Thrawn to the edges of the known galaxy to investigate an anomaly in the force. While Emperor Palpatine apparently understood and accepted the reasons for Thrawn’s failure at Atollon, Vader viewed them as unacceptable excuses. So when Palpatine put Thrawn in command of their mission, Vader’s resentment for Thrawn only grew deeper. Perhaps sensing his apprentice’s growing disdain for Thrawn, an asset that Palpatine was quite fond of, Palpatine orchestrated the mission to allow Thrawn to win over Vader’s respect through his strategic genius. And Thrawn did just that. There is so much to love about Zahn’s approach and style in this novel. He takes and improves elements from some of the best Star Wars Canon novels to craft an amazingly entertaining narrative. While many of the recent Star Wars novels tell multiple stories set in different time frames in the novel to tell the overall story, none have so artfully interweaved these stories to build such suspense and gratifying resolution. While several of the novels explore Vader’s character arc in the years between Revenge of the Sith and A New Hope, none so effectively compare and contrast Anakin Skywalker’s brash impulsiveness with Darth Vader’s impatient decisiveness. While several of the novels cause readers to root for the “bad guy,” none cause readers to feel such profound awe and respect for the “bad guy.” While some novels explore the expansiveness of the Star Wars Universe, none so compellingly open a new frontier in the Star Wars Universe that is every bit as exciting as the one we originally fell in love with. Not only does Thrawn Alliances contain a fantastic and entertaining story arc, but it adds more pieces to the overall Star Wars storyline that fill in a bit more of the puzzle of what happened between Return of the Jedi and The Force Awakens. We’ve learned that the secrets of the Unknown Regions were crucial to Emperor Palpatine’s “contingency plan” that eventually allowed the remnants of the Empire to give birth to the menacing First Order. We are now learning that Thrawn’s association with the Emperor may have been the key to give birth to the contingency plan in the first place. If I haven’t convinced you to read Thrawn Alliances yet, let me make one final attempt. I have read every single canon novel and junior novel that has come out since Disney purchased the franchise (many of them multiple times). Some of the novels aren’t worth reading. Most of them are very enjoyable and add a considerable element to my understanding and enjoyment of the Star Wars Saga. Both Thrawn and Thrawn Alliances remain at the top of the list. Trust me, they are worth the read. What are you waiting for? Click Here or the image below to pick this up via digital, audio or physical form. We would like to thank Disney Lucasfilm Press/Penguin Random House Audio for providing the review sample. Thrawn: Alliances $17.39 and Ready To Ship! 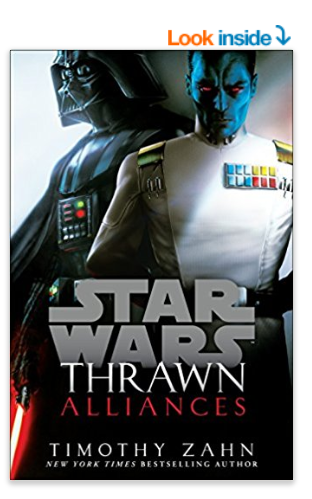 Make sure you pick up Thrawn: Alliances at Amazon.com for just $17.39, click below! └ Tags: Thrawn: Alliances $17.39 and Ready To Ship! Pre-order Solo: A Star Wars Story – The Official Collector’s Edition! 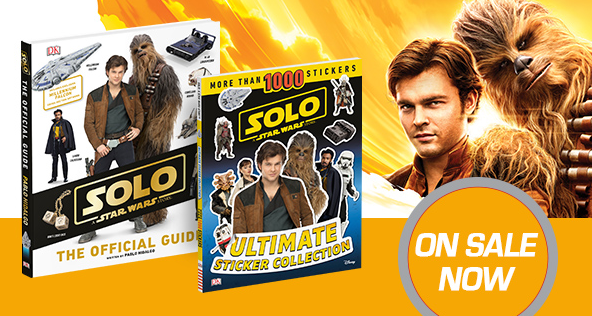 Relive the excitement of Solo: A Star Wars Story with this lavishly illustrated movie companion. Pre-Order now at this link! └ Tags: Pre-order Solo: A Star Wars Story - The Official Collector's Edition! Han Solo is by far my favorite, non-Jedi Star Wars character. When I first heard that Lucasfilm was planning a film about his back story, I almost literally jumped for joy. As it has with the past several films, Disney announced several accompanying novels and young readers. I was a bit worried after reading Star Wars: Last Shot and seeing Han’s character gravely mishandled (see my review here). But all my concerns melted away when I experienced Solo: A Star Wars Story in theatres opening night. Star Wars: Most Wanted was a fantastic companion to the film and is a worthy read for any Star Wars fan. The novel is set immediately before the beginning of Solo in the sewers beneath the ship building city of Coronet on Corellia. Han and Qi’ra are struggling to survive while they compete for position in Lady Proxima’s band of street rats, the White Worms. The previous head of the White Worms was sent on a mysterious mission and never returned, leaving an open slot of position and privilege among the gang. Han and Qi’ra are among the top contenders, and are thus rivals. Throughout the novel, Han and Qi’ra’s paths cross on a dangerous adventure in the Corellian underbelly. They quickly learn that to survive, they must work together and learn to trust each other. This begins the budding of the relationship that we see between the two in the beginning of Solo. Since this is a young adult novel, it is an overall quick read and the plot is relatively simple. 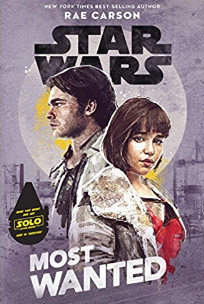 Nevertheless, the novel does a great job developing Han and Qi’ra’s characters and providing context to their meager existence among the White Worms. Rae Carson’s passion for Star Wars pleasantly comes out throughout the text. She masterfully intertwines dialogue and themes that subtly pay homage to the rest of the franchise. Carson does a great job portraying Han as a smooth talking, confident, and instinctive leader, living as a constant contradiction to his humble circumstances. She also does a great job building Qi’ra as strategic, calculating survivor. I heartily recommend Star Wars: Most Wanted as a great read for Star Wars fans of all ages. It is great as a stand-alone novel, but also as a companion to the Solo film. The women of the Star Wars universe are a diverse galaxy of heroes and villains, renegades and rogues, caretakers and, sometimes, unscrupulous scum. Now StarWars.com is thrilled to exclusively announce a new book from Chronicle Books that celebrates this eclectic mix of female characters from the films, cartoons, novels, comics, and video games — Star Wars: Women of the Galaxy by Star Wars fan and journalist Amy Ratcliffe, arriving October 2018 in hardcover. Featuring Leia Organa, Rey, Ahsoka Tano, Jyn Erso, Rose Tico, Maz Kanata, and many more — including characters from Solo: A Star Wars Story and Star Wars Resistance — the book gathers 75 profiles with text by Ratcliffe and all-new, incredible artwork from 18 talented female and non-binary artists. The amazing lineup of illustrators includes Alice X. Zhang, Amy Beth Christenson, Annie Stoll, Annie Wu, Christina Chung, Cryssy Cheung, Eli Baum, Elsa Charretier, Geneva B., Jen Aberin Johnson, Jen Bartel, Jenny Parks, Karen Hallion, Little Corvus, Sara Alfageeh, Sara Kipin, Sarah Wilkinson, and Viviane Tanner. 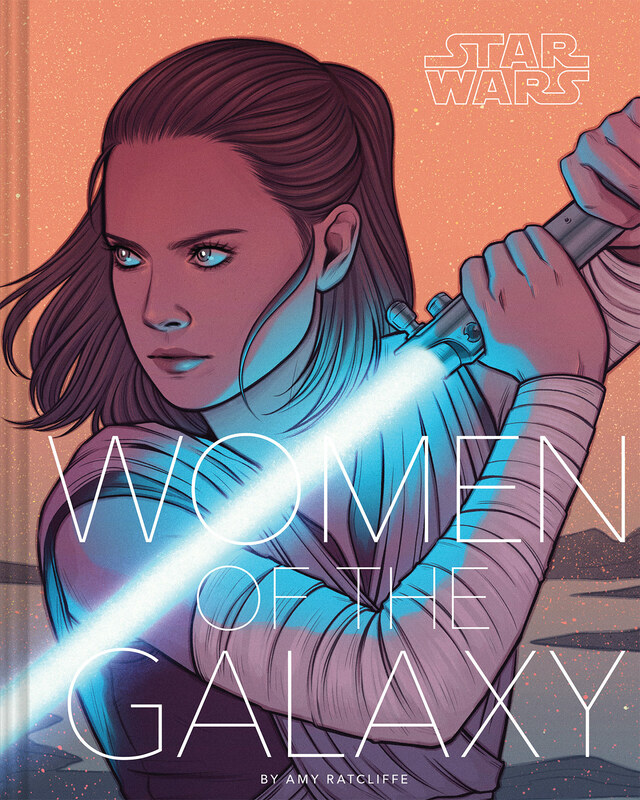 Check out Jen Bartel’s cover below, featuring a striking image of Rey. Click here or above for the full article at StarWars.com! Now is your chance to get these great books for scoundrels! 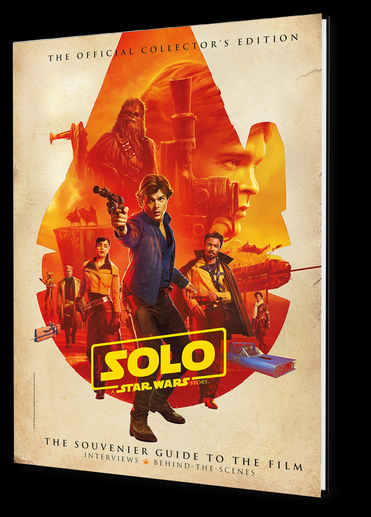 Solo: A Star Wars Story™ The Official Guide, written by Pablo Hidalgo, is the authoritative companion to the latest Star Wars™ movie, featuring the fascinating planets, vehicles, and aliens that Han Solo encounters on his early adventures. Explore key characters, locations, and props in captivating detail with extensive production photography and see the iconic Millennium Falcon as its never been seen before, in an exclusive cross-section artwork by Richard Chasemore. Click Here or below to grab it for just $12.99! 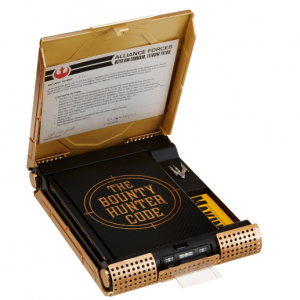 The Bounty Hunter Code: From the Files of Boba Fett 64% Off! Click Here or below to secure one today at a deep discount! 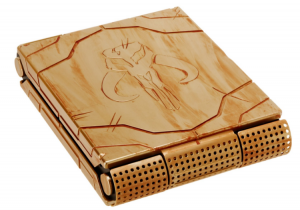 └ Tags: The Bounty Hunter Code: From the Files of Boba Fett 64% Off! 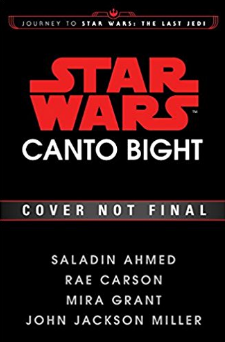 Star Wars Canto Bight is available for pre-order now. Journey to Canto Bight: a lavish city rich with opportunity—but where the stakes couldn’t be higher. Featuring four interconnected novella-length adventures of the exotic aliens and creatures who frequent the captivating casino. With stories by Saladin Ahmed, Rae Carson, Mira Grant, and John Jackson Miller. Click below to place your pre-order now. IDW will launch its young reader line of ‘Star Wars’ comics with an 80-page adaptation of the most recent movie in August. Ahead of the fall launch of IDW Publishing’s Star Wars Adventures comic book, more aimed at younger readers than the current Marvel line of Star Wars material, the San Diego-based publisher will be making a surprise earlier visit to a galaxy far, far away with the U.S. debut of an all-ages adaptation of Star Wars: The Force Awakens. The 80-page graphic novel is written by Alessandro Ferrari, with art from a group of Disney artists intended to bridge the gap between Star Wars and traditional Disney animation, making it more attractive for younger audiences. This group has previously adapted both the original and prequel trilogies into comic format for best-selling editions published in the U.S. by Disney Lucasfilm Press. The IDW release of Star Wars: The Force Awakens comes in advance of Star Wars Adventures, a monthly series of original material for younger readers, to debut this September with a story about the early life of The Force Awakens’ lead character Rey. IDW also publishes collections of Star Wars newspaper strips and other archival material related to the franchise. Star Wars: The Force Awakens, part of Disney’s Journey to Star Wars: The Last Jedi publishing program in advance of this December’s movie, will be released this August. Tales of Star Wars’ greatest good guys — Han, Luke, Leia and the rest — are now legend, but there were heroes on the other side as well. 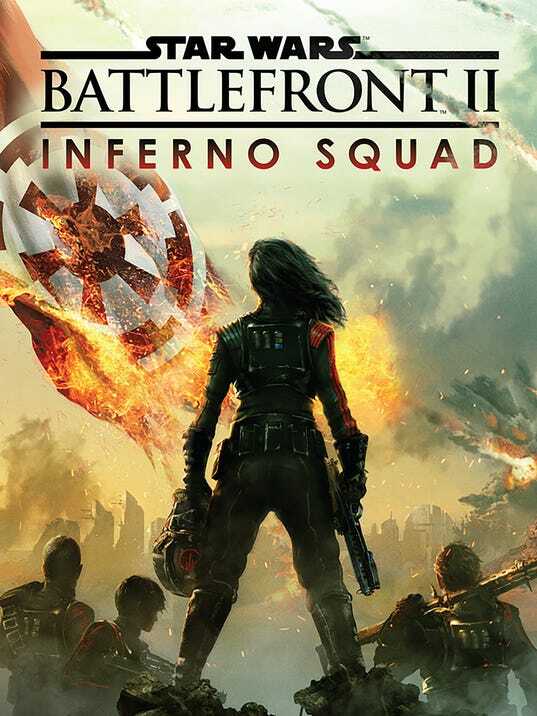 The new novel Star Wars Battlefront II: Inferno Squad (Del Rey Books, out July 25) focuses on Iden Versio and other Imperial soldiers whose nobility depends on if you’re a part of the Rebel Alliance or fancy yourself a devotee of Darth Vader. The Battlefront II game (out Nov. 14) centers on Iden as the Inferno commander who set out to avenge the Emperor after the fall of the Empire and the second Death Star at the end of Return of the Jedi. However, the prequel novel takes the TIE fighter pilot back to the aftermath of the recent spinoff film Rogue One, where the secret plans for the Empire’s first Death Star are stolen by Rebels and then are used by Luke Skywalker and the rest to blow up the deadly battle station. With Star Wars: The Force Awakens character Finn (John Boyega), fans were able to see what those folks wearing Stormtrooper helmets were actually like, and Inferno Squad similarly focuses on the Imperial soldiers on a mission to infiltrate a small group of Rebel extremists called the Partisans. Click below to read the excerpt. Chirrut Imwe and Baze Malbus were audience favorites the instant they made their first appearance in Rogue One. Unfortunately, viewers’ time with both characters (played by Donnie Yen and Jiang Wen respectively) was short-lived… until now. 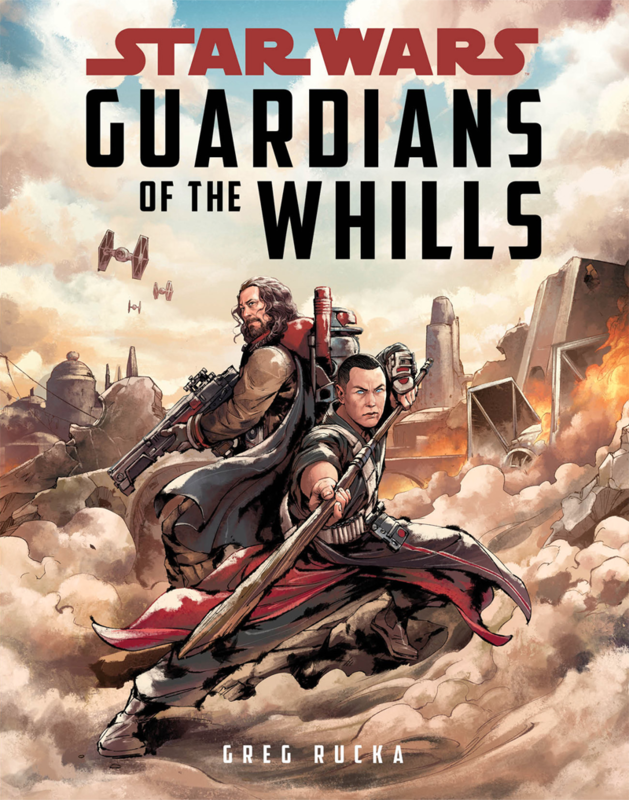 Thanks to Greg Rucka’s new middle-grade adventure, aptly titled Guardian of the Whills, eager readers can follow Baze and Chirrut’s adventures before the events of the Star Wars stand alone film. And as you can read in the excerpt below, the blind former guardian of the Kyber Temple and his friend (who has since shrugged off their former role) are working to resist the Empire’s forces that have taken over Jedha, and protect the residents of the Holy City. However, their plans change with the arrival of Saw Gerrera, a rebel looking to take down the Empire. But while this gives both men a chance to actually help the people of their city, the price it requires might be too high to pay. Guardians of the Whills is currently available for purchase. Order it here. Jeffrey Brown’s reimagining of the Star Wars™ universe has delighted adult fans and young Jedi alike. This four-time New York Times best-selling series has inspired spirited cosplay, fan tribute videos, and was recognized with a Will Eisner Comic Industry Award. Now fans can interact with young Luke and Leia and their patient father Vader in the Darth Vader ™ and Family Coloring Book. 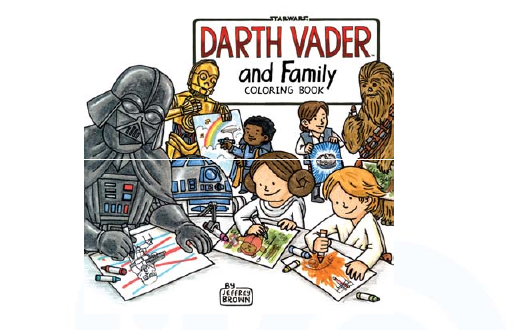 This new adult coloring book is equally fun to share, featuring a careful translation of artwork from the bestselling Darth Vader and Son™ series to a large-format collection on crisp white paper, plus nine new images to color. Scenes are presented on one side of the page with a decorative back page for versatility. The Darth Vader ™ and Family Coloring Book is a creative coloring adventure fun for Jedi masters and young Padwan alike. This product has not yet been released. It will be available after March 28, 2017. You can Pre-Order it now at this link. Does this mean he’s really canon? Thrawn. 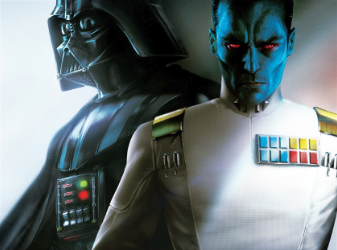 Like Alan Trammell, or Rich “Tombstone” Jackson, or Sidney Moncrief to their sports’ halls of fame, Thrawn is the greatest Star Wars character lurking at the edges of full membership in the canon, through a film role, or even a mention. 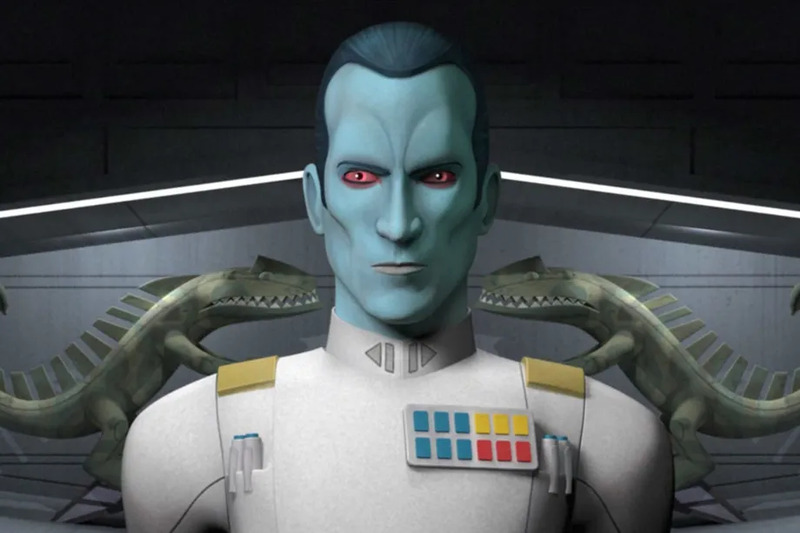 Retroactively de-canonized (as an Expanded Universe character) after Disney purchased Lucasfilm in 2012, the Grand Admiral was drawn back in through Disney XD’s Star Wars: Rebels animated series, which began in 2014. He returns this spring in Star Wars: Thrawn, a novel set in the time before the events of 1977’s Star Wars. Star Wars: Thrawn is written by Timothy Zahn, who created and gave life to the character (and, effectively, the Expanded Universe) in what is called the Thrawn trilogy of books from 1991-1993, set after the events of 1983’s Return of the Jedi. USA Today has an excerpt of the novel, from chapter 2. The book explores the rise of the Chiss commander — notably the only non-human to hold any significant rank in the Imperial Navy. In the chapter, Thrawn has been discovered by the commanding officer of an Imperial warship who senses potential in him, and taken captive to Coruscant. In this setting, it’s revealed that our blue-skinned, red-eyed art-lover knew Anakin Skywalker before he became Darth Vader because, of course, everyone knows everyone in Star Wars. Star Wars: Thrawn, published by Del Rey, will be on shelves April 11. HAN AND LEIA DISCUSS THEIR NEXT MOVE IN AN EXCLUSIVE PREVIEW OF THE HIGHLY-ANTICIPATED NOVEL. Want to learn more about the cast of Rogue One before they became the fearless thieves of the Death Star plans? 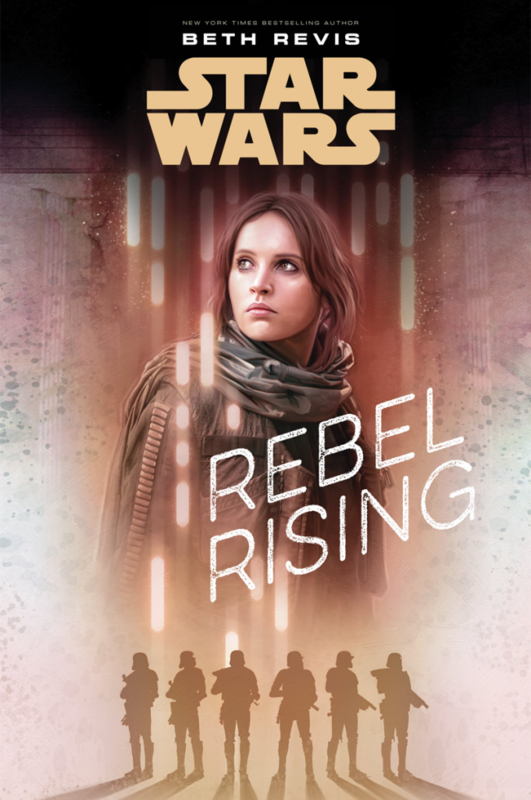 Well, good news: Disney is publishing two new novels for young audiences that will give insight into the lives of Jyn, Chirrut, and Baze before they became heroes of the Rebellion. 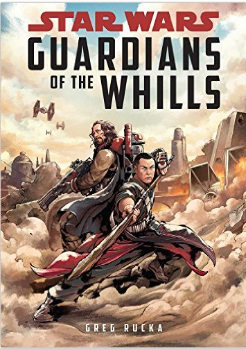 Meanwhile, the middle-school targeted Guardians of the Whills, written by Greg Rucka, will follow Chirrut and Baze’s lives as members of the titular order, having witnessed the arrival of the Empire on Jedha—but as Saw’s rebels make their presence on the planet known, they find themselves given a new opportunity to defend Jedha City from the Empire’s grasp. While some might pass them off as not “full” novels as they’re aimed at younger readers, it’s cool to see the world of Rogue One explored in books aimed at audiences that aren’t the usual Star Wars novel market—plus, it’s always nice to see more of these characters beyond their roles in the movie. Guardians of the Whills and Rebel Rising will be out May 2. GET A FIRST LOOK AT NEW STAR WARS BOOKS — PERFECT FOR YOUNG JEDI — COMING SOON TO OUR GALAXY. If you’re the parent of a Padawan, or just love a good all-ages Star Wars book, then you’ll soon have some exciting potential additions to your Jedi Archives. 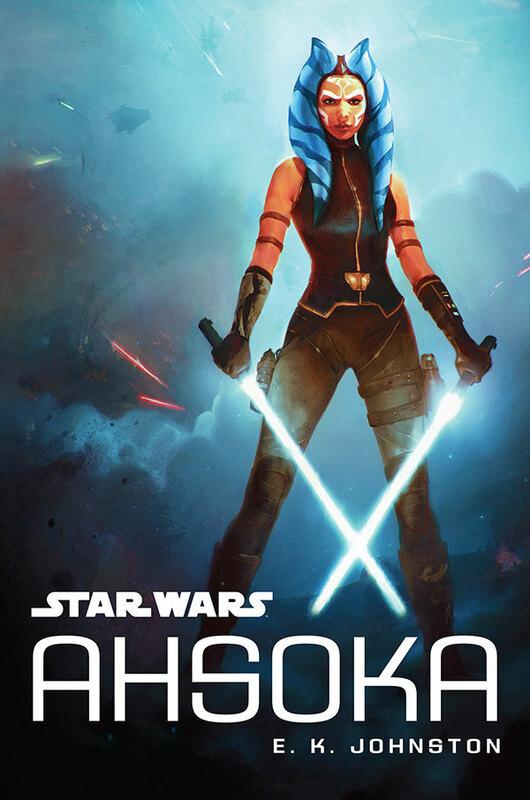 Disney-Lucasfilm Press has several new titles coming soon, from The Force Awakens-era tales to a new graphic novel adaptation of the prequel trilogy. First revealed on today’s Star Wars Show, get a closer look below at the covers, along with story details, release info, and insights. Some of the biggest and best Star Wars authors discuss their approach, process, and reception to writing stories set in a galaxy far, far away. Featuring Timothy Zahn (Heir to the Empire, Thrawn), Chuck Wendig (Aftermath, Life Debt), James Luceno (Tarkin, Catalyst), E.K. Johnston (Ahsoka), Charles Soule (Lando, Obi-Wan & Anakin, Poe Dameron) and Kieron Gillen. Moderated by Lucasfilm’s Michael Siglain and Jennifer Heddle.